Today I will be reviewing a brand new slot by Push Gaming; Viking Clash. Based on the name you can guess this is a Viking themed video slot in which boats, weapons and Viking man play an important role. This video slot features two reel sets with a total of 5 reels and 3 rows ..
Today I will be reviewing a brand new slot by Push Gaming; Viking Clash. Based on the name you can guess this is a Viking themed video slot in which boats, weapons and Viking man play an important role. This video slot features two reel sets with a total of 5 reels and 3 rows each. While playing you can win prizes by matching up symbols on a total of 25 paylines on each reel set. During Viking Clash the separate reel sets are displayed on top of each other which gives the slot a bit of a different feel then most other video slots. 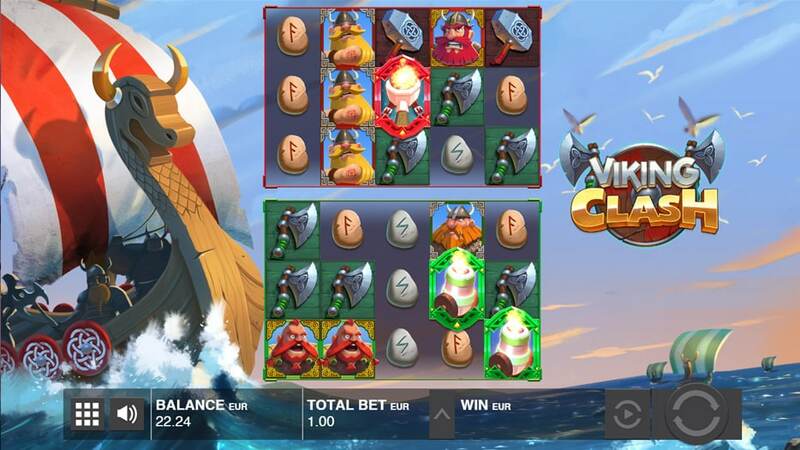 During the game you can expect multiple features including Sailing Wild Ships, Wild Multipliers and the Viking Battle. Continue reading to learn more about the Viking Clash Video Slot that has a very interesting RTP of 97,23%. During the Viking Clash bonus round you will receive one extra free spins and one Sticky Wilds for every scatter you collect. The Viking Clash Video Slot is brought to you by Push Gaming with a 97,23% RTP rate which is pretty high. During the main game more Wilds can be added to the real with the Sailing Wild Ships feature. 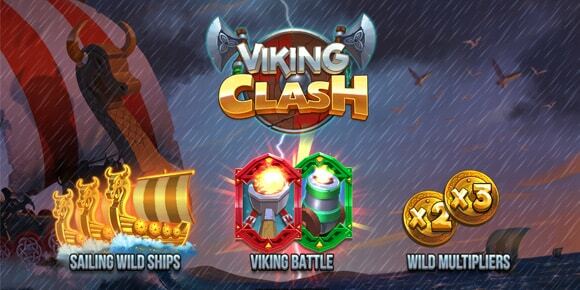 Viking Clash offers multiple high paying symbols which are represented by angry looking Viking man. Are you ready to try your luck on this exciting video slot? Then sign up at one of the casinos in the table below. 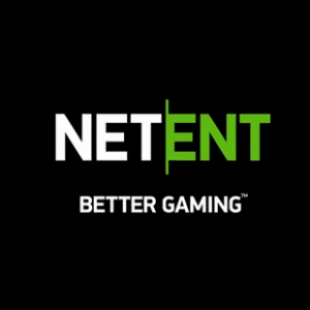 All casinos we have listed are tested, reliable and safe. On top of that they offer multiple games by Push Gaming including Tiki Tumble. When you sign up for the first time you will be able to collect a generous bonus offer. 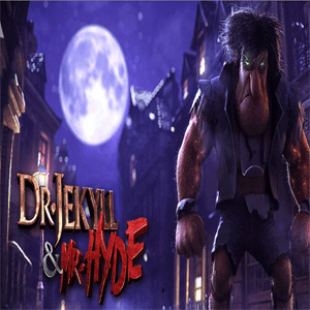 With this bonus offer you can collect extra bonus money or some Free Spins. You will also find all offers in the table. Read our reviews in order to learn more about a certain casino. 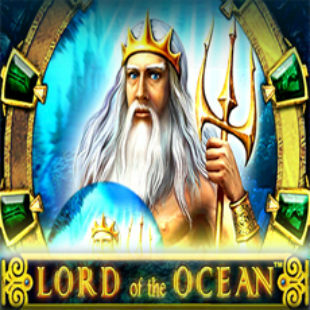 My favourite online casinos to play Tiki Tumble are LeoVegas and Redbet. While playing Viking Clash you can bet from as low as €0,25 per spin. This make the suitable for players who love to spin with a low stake. 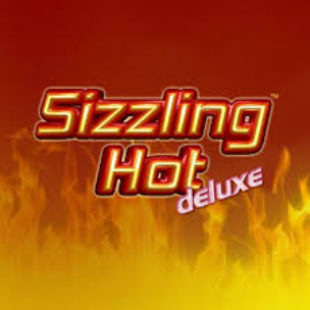 People who like to raise the excitement can increase their bet to for example €0,50, €1,-, €2,- or €3,-. 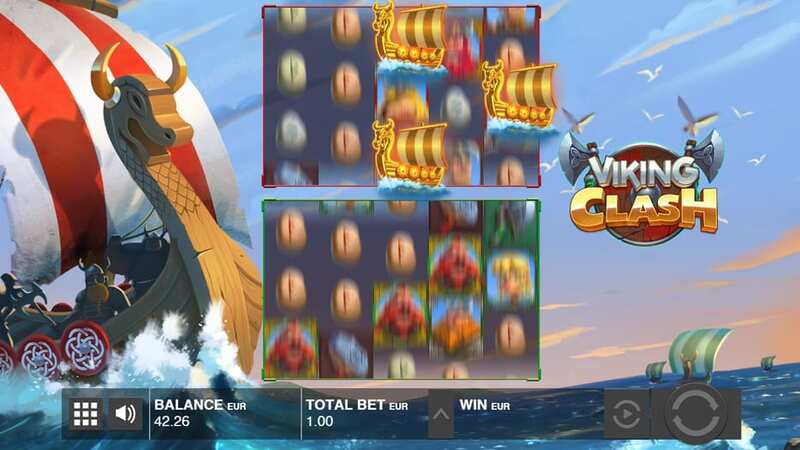 Any high rollers who want to try out Viking Clash can bet somewhere between €5,- and €100,- per spin. Because of this I think Viking Clash is a fine slot for every type of player. The lowest paying symbol in Viking Clash are represented by stones, they pay 1,2x when landing five of them in a row. The Viking Axe and Hammer pay a bit better and will get you up to x4 when landing five of them. The medium paying symbols are the simple Viking man and woman, they pay up to x10. The highest paying symbols are the ferocious Vikings which pay up to x16 when lining up five of them. While playing Viking Clash you will also be able to land a Wild symbol during one of the features. The Wild Symbol substitutes for all other symbols accept the Scatter Symbol. Landing five Wilds in a row will pay you the top prize of x16 per payline. While playing the Viking Clash Video Slot you can use multiple setting to improve your gaming experience. One easy feature I like to use is the auto-play feature. While using this feature you don’t have to click every time to spin the slot. Simple select how much spins you can to play and let the machine do the work. In addition to this setting there are not a lot of options except to turn the sound on or off. 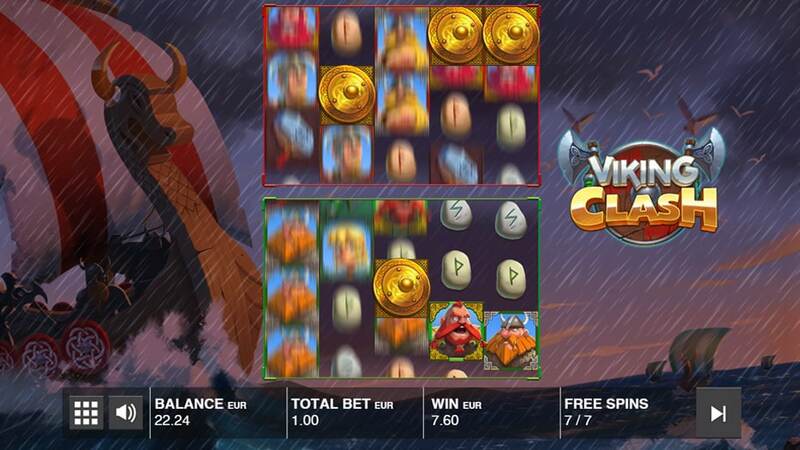 One of the main feature of the Viking Clash Video Slot is the Sailing Wild Ships Feature. During the base game it is possible a wave hit you which does or does not land this feature. When the feature does get activated a few Wilds Ship will appear on one or both of the reel sets. These ships will travel to the left and every turn they make a prize they will pay it. Because of this you will be able to hit multiple wins in one spin while landing this feature. All with all this is a pretty fun feature which should be able to get you some nice wins. After landing three or more Scatters, which are represented by the red and green cannons, you will unlock the Viking Clash Free Spins Feature. During the Free Spins Feature you will play a minimum of 6 Free Spins in which you will enjoy Sticky Wilds and extra Free Spins. In the begin you will receive one sticky wild for every scatter you have landed previous to the bonus feature. In addition to this every new red cannon you land during the feature will trigger a Wild Shield Symbol which will be a sticky wilds on the green reel set. 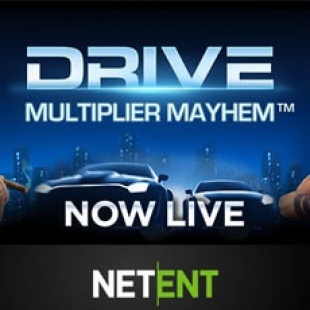 On top of this you will receive 1 more Free Spins. When you land a new green cannon during a spin you will trigger the same reaction accept the sticky Wild will be added on the red reel set. By collecting multiple scatters you can easily fill a reel set with many sticky wilds which guarantee nice prizes. All with all I think Viking Clash looks like a very solid video slot game. Why? First off all the game looks very good and the sounds are fine as well. Secondly, the game offers a nice wild feature and a very interesting free spins feature with sticky wilds. Although these things are all great I must day I had a very hard time landing any of the features or any decent wins during the base game. Maybe I was just unlucky, but I didn’t had the feeling this was my game. Although this happened I must admit that with a 97% + RTP you should have a good shot of winning some decent prizes. Maybe you can get a better win? Please let me know in a comment on this post!